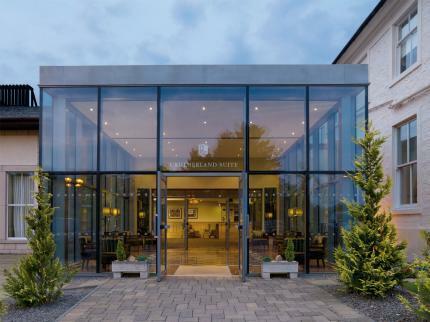 One of the finest and most luxurious hotels in the West of Scotland located just 20 mins from the heart of Glasgow, yet surrounded by beautiful countryside. At such a flexible venue you can host a Team Building event of your choice followed by an evening of entertainment or an awards Dinner. With large and small function suites you can have the event of your choice at Macdonald Crutherland House Hotel. Themed Events are growing in popularity and with Team Challenge Company we can offer a host of different ideas from Fun Casino to Bollywood Make your Event the Event with Team Challenge Company. Macdonald Crutherland House features a well-equipped business centre and conference/meeting room(s). The beautiful grounds are perfect for your next outdoor Team Building event or Corporate Fun Day and you can choose from a huge selection of activities from Laser Clay Pigeon Shooting to Bling 4x4 and Plank Walk to Catapult. Macdonald Crutherland House offers luxurious accommodation, excellent dining and total relaxation. If you must work, we can provide state-of-theart equipment in a private and comfortable environment.